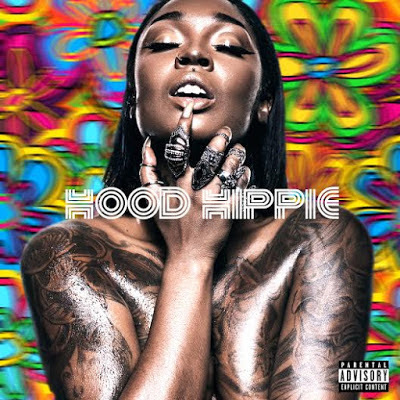 She's Ryan is back giving us eargasms with the release of her newest EP titled Hood Hippie. With a sound that i'd call trap pop, it's a mixture of Hip-Hop, R&B, Pop and Rock. A feel good project that was a lot of fun putting together, her and her Fameschool team. On this project she worked with Fameschool Slim, Kiz, and Lars for production. Including a feature from, Manolo Rose, dope song writing by herself and Fameschool Telli. The Brooklyn writer and songstress broke down to Ms. Vixen what parts of her are hood verses hippie. The word "Hood" is casual dialect in 2016. It's lingo for so many different things. So the "hood" in me can be anything from me getting drunk, and making a stop at the chinese restaurant at 2am for 4 chicken wings (chopped up) smothered in hot sauce and ketchup, to my little habit of drinking wine out of a straw (behind closed doors lol). These are things that are quite normal to me, but to MANY people would be considered ratchet behavior, or "hood". As I mentioned, the hippie in me wants everyone to get along. I want peace, and for people to be themselves. I live to express love and expand consciousness, whether through music, tweets, a book, or my appearance. Her last project had more of a pop sound, with this project she did it her way. She let go and had fun, and you can here that in every track. My motto for the album is just to let people know that everything ain't that deep all the time. Have fun, dance, laugh, smile, and enjoy what makes you FEEL good.